The northernmost of the Nobi Plain, Ogaki-shi, Gifu Prefecture, at the foot of Ibukiyama. Watanabe sake brewery was founded in this place in 1908. Because it keeps being loved by local people now even after more than 100 years since its establishment, I am pursuing and sticking to the taste which can only be displayed in "this place" and "this storehouse". And since the time of Mr. Kadojiro Watanabe, the founder, I have been seriously dealing with sake making for generations. 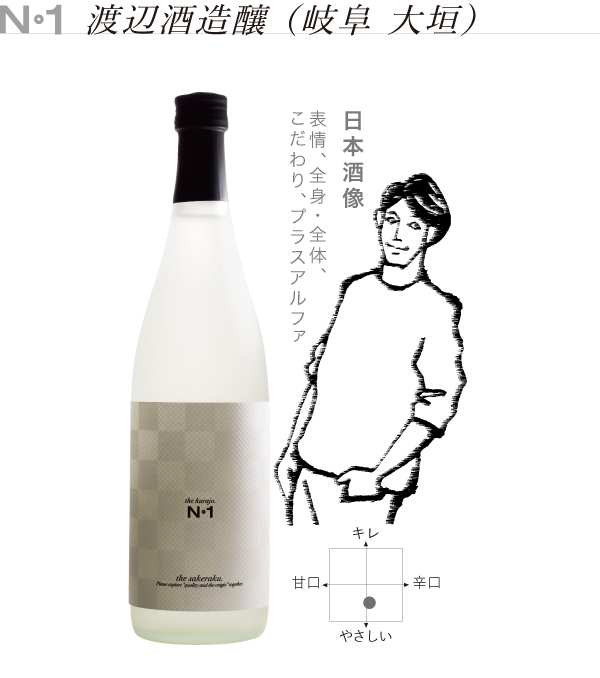 Mr. Aisako Watanabe of the 4th generation, pursuing sake which inherits the skill of the previous generation, you can say that alcohol you can do only for yourself, who you can drink is delicious. Ogaki has been called "water capital Ogaki" since it has flowed abundant spring water and numerous clear streams, and Watanabe Sake Brewery uses that spring water as well. Water is indispensable for Japanese sake so that it is said that "there is a famous place in the place where there is a famous place". In recent years, we also use natural water "Takaga no Mori Water" that springs from Takagi Mountain in Oku Nagara River, and we also make new sake making on a daily basis.